← Ogres & Dragons & Knights! Oh My! 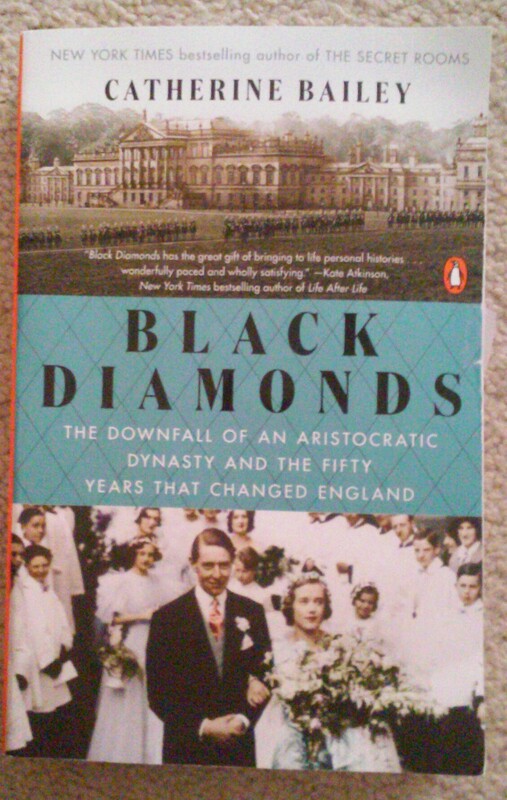 Black Diamonds by Catherine Bailey is a well-researched novel based on the Fitzwilliam family in England. the Fitzwilliams were wealthy land owners who made their fortune on the backs of others who mined coal deep beneath the land owned by the gentry. Much like Bailey’s previous novel, this story involves the destruction of historic documents; leaving the reader to believe there were secrets the Fitzwilliams wanted hidden forever. The big mystery is whether or not one of the heirs to the title is in fact a child switched at birth in order that a male heir be produced to inherit the title and estate. For anyone interested in knowing pretty much everything you could want to about life in England when coal was king, this is an interesting history. It is more about economics in England during the late 19th and 20th century than it is about the family Fitzwilliam. It is about the class system during that time as well. There are many notable historic figures in this story. I however, found the stories related to the poor, struggling common men and women so much more interesting. This is a long book with a great deal to digest. If you have the time and inclination, I think there’s much to be learned from it. This entry was posted in Uncategorized and tagged black diamonds, Catherine Bailey, coal, England, Fitzwilliam, gentry, Joe Kennedy, Kick Kennedy, nonfiction, Winston Churchill, ww1. Bookmark the permalink. Not my cup of tea. Historical genre doesn’t do it for me. That said, I’m loving ‘The Miniaturist’ – so perhaps I shouldn’t make these sweeping statements. I haven’t read the book you mentioned. I do enjoy historical books, but not all of them. Like any other genre, much depends on the writer and subject matter.